1) Sir Alex Ferguson is mates with Phil Brown, Hull’s boss. Hull play Man Utd in their final game. 2) With the Champions League Final on 27 May, and the league title in the bag, Fergie will play a weakened team at the KC Stadium. Hmm, do you think Fergie really wants to do Newcastle any favours? No, of course not. Man Utd’s boss would love it, just love it, if the deluded Geordies went down. 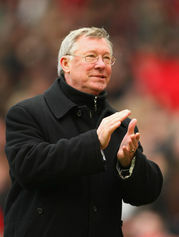 Ferguson is considering leaving out Cristiano Ronaldo and Wayne Rooney in favour of Federico Macheda and Danny Welbeck. And why not!? 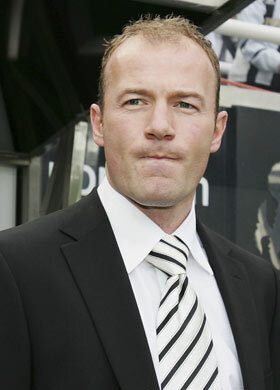 In Fergie’s shoes, any other manager – Shearer included – would do the same. Shearer can at least take comfort in the fact that Man Utd’s second string will want to impress the manager and secure a place in the CL final squad. So I doubt Hull will have an easy game, whoever Fergie picks. Still, Newcastle’s boss knows that even a win at Aston Villa might not be enough to stay up, but with Hull and Sunderland set to face Man Yoo and Chelsea respectively, I think three points would get the job done for Shearer -Â just don’t expect Fergie to do him any favours. What’s right for Man Utd is to keep the best XI fit and fresh for the game against Barcelona in Rome. And though Ferguson is, deep down, an honourable man, he owes Newcastle and Shearer no favours.